The ray of hope for Gujarat did "shine" (meaning rain). Gujarat got good amounts of rain from the upper air circulation over the north Arabian Sea yesterday, about 100-200mms /day for the two days from 30th. June. And as forecasted, the system is dying out fast, and may not last another day. North Konkan, Mumbai, and north maharashtra too did get 2 days of good rains. It held out hopes of more rain to come in the hearts of the people of Mumbai, but , as was expected, the rains widhdrew from the evening of the 1st. itself. Now, there is no system on the horizon in the bay or elsewhere for another 3/4 days ay least. What we should see is some subdued rain along the west coast and ghats and subdued rain in the north/nort-west regions of India till the 6th.Recent formation of an upper air W.D. over north Pakistan may also prevent an initial low in the bay from materialising.Eastern states may get some rain due to the eastern end of the monsoon trough carrying an embedded lcirculation in it. The heating of the middle east is also slowing down after the start last week. The average highs in Arabian peninsula are around 46c today. May delay the formation of the western end of the monsoon low drifting west. Hence, it seems, subdued rainfall till the 5th./6th. overall. A low is forecasted to be formed in the Bay by Monday and off Mumbai by Tuesday. What are your thoughts on that? 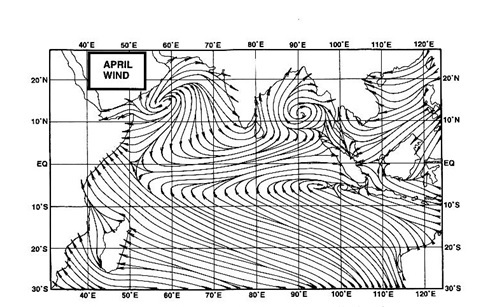 there is no low forecasted in the bay or the Arabian sea on the 7th. I too do not see any low in the bay by mondya, and no low off mumbai by tuesday.